Now she just wants to cuddle with her rescuers. When Millie the dog became incredibly sick, she didn't know what to do - so she lay down in some grass on the side of the road, and waited. 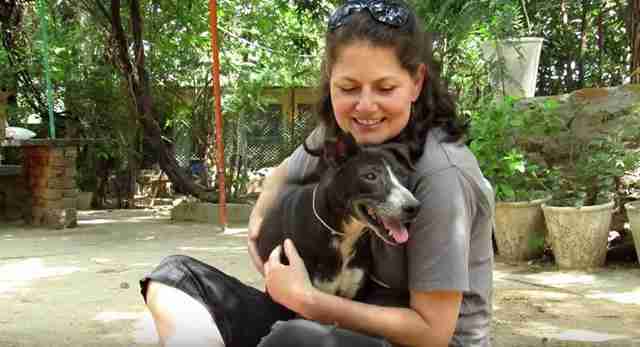 Animal Aid Unlimited, a rescue organization in India, heard about poor Millie and immediately rushed to help her. 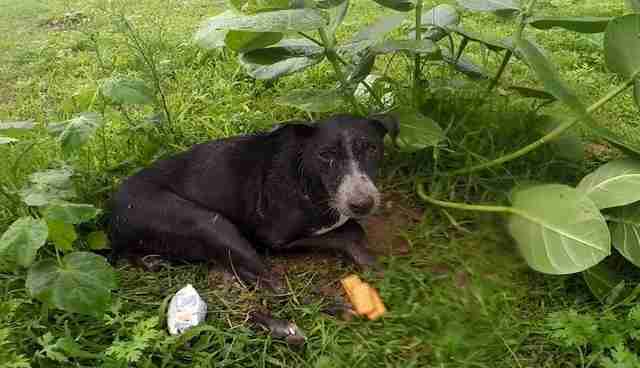 When rescuers found her, she was so sick she couldn't move, and was barely even conscious. She was just lying there in the rain, hoping someone would eventually notice her. Rescuers covered Millie with a blanket and took her to get medical attention as quickly as they could. After examining her, Millie's rescuers suspected she had a case of pyometra, an infection in the uterus that can lead to death. She needed surgery as soon as possible or she wasn't going to make it. The next day, Millie underwent surgery to removed her infected uterus - and her rescuers discovered that her uterus was five times the size that it should be. ... but now, Millie is completely healed and happier than ever. If she hadn't been found in time, Millie probably wouldn't have made it, and she's so grateful to the rescuers who saved her life.